May 1982: as the British Task Force prepares to retake the Falkland Islands, a lone Sea King helicopter makes an apparently forced landing in the southernmost reaches of Chile. The only threat to the Task Force - and the enemy's only hope of ultimate victory - is Argentina's Super Etendard aircraft and their sea-skimming Exocet missiles. Since radar cannot be relied upon, the British must opt for a less conventional warning system. Before landing in Chile, the 'stray' Sea King drops a team of men into Argentina, where they are tasked with remaining hidden within sight of the airfields and within easy reach of the enemy's security patrols. 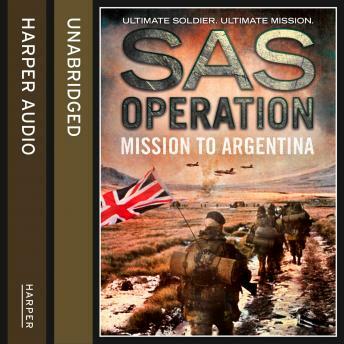 Mission to Argentina tells the electrifying story of this SAS operation from the inside - a heart-stopping thriller about the regiment equalled by no other: the SAS!